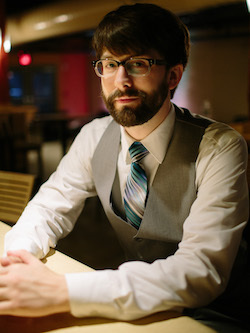 Jon spent 2015 planning a wedding, getting married, and also played games. Here are his favorites. I was sent on an emotional nostalgia trip I didn’t expect. It had a real number! I never thought it would be “amazing” but boy was it a dumpster fire of bad. I helped a man get his grounded boat back into the water using my handy booster mines. Mission Success! Then the kaboom. I upgraded my graphics card this year specifically for The Witcher 3. I didn’t play a better looking game all year. Take one part level building with awful terrible harmful items, a bit of platforming skill, and the chaos of multiplayer. It is the perfect couch competitive game, and I cannot wait to play it again. When you have heard so many positive things about a shooter created by Nintendo on the Wii U, it must be a really good game. This was finally the year I really got to enjoy GTA: Online. The heists were my favorite online multiplayer experience this year. There are pictures of wrestlers and numbers. Sometimes the numbers go up. Hands down the soundtrack I listened to the most outside of it’s game. Honorable Mentions: I really liked these games, so here are some shout outs in no particular order! You Must Build A Boat – I missed the BOAT on 10,000,000…I never thought I’d enjoy an endless runner, until I was match three-ing things. Her Story – Within 30 minutes of starting Her Story I had about a page of notes. The conversations this game created were fantastic. Heroes of the Storm – Last year, I declared that this will be the MOBA that would finally get Bottled Fuchsia into MOBAs. I was right. Duck Game – Good old multiplayer madness, but with a button exclusively for quacking. I must have found the golden copy of Batman: Arkham Knight for the PC because I managed to 100% the game with no major technical problems. This snuck onto my list because, if you can get past the technical issues and PR nightmare, it’s a pretty solid Batman game. I did skip Arkham Origins, so I was ready for more Batman in my life and this delivered just that. This Batman story isn’t the best in the series. If you have a slightly above average knowledge of Batman lore you can probably guess where the story of the Arkham Knight goes. The Batmobile makes its debut in this game, and you will be forced into it over and over. The game provides you with a city to explore, it provides a grappling hook and wing suit, so why would I ever want to stick to the streets? Batman: Arkham Knight combat remains one of the smoothest fight systems in video games. 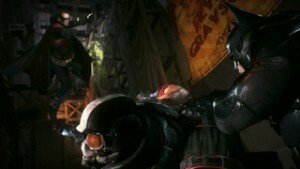 It raises the bar minimally with a few more gadgets and sprinkles in a handful of fights with partners, allowing you to occasionally break a thug’s face with/as Nightwing, Robin or Catwoman. The side stories are interesting enough that I felt compelled to complete them, which usually involved punching the problem in the face and breaking limbs until the problem stopped being a problem. After being yelled at through a city-wide speaker system and appearing on stadium sized screens all over the city, I also felt compelled to capture the Riddler. It was a very satisfying experience once completed. If you haven’t played a Batman game, play Arkham Asylum. If you’ve played, the rest, play this one. I never played Super Metroid in it’s prime, and to this day it’s not a game I have played to completion. Wait! I have a good reason I swear! During my college days I had a roommate who knew Super Metriod extremely well. I have fond memories of spending lazy weekends just sitting and watching as he raced through the game from start to finish. Why try to play though it myself when I’ve seen it done with such ease so many times? Thanks to Axiom Verge I finally get to have the experience of playing through a game that takes the spirit of Super Metroid and makes it feel fresh again in 2015. The pixelated visual style evokes nostalgia but also serves a meaningful purpose within the story. 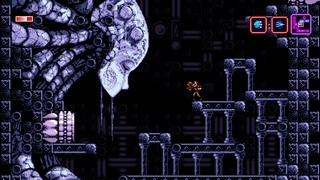 Axiom Verge provides a great mix of weapons to play with. Every item unlock just means more of the world to explore and remembering all those spots that you wished you could jump just a little higher. Axiom Verge does a fantastic job of balancing difficulty, provided it’s played with enough patience. Tom Happ has created something amazing in a genre filled with games that just don’t hit the mark. Finally, I have my Side-Scrolling Large-World Action-Adventure game! Made it through without saying Metroidvania…that last one doesn’t count. I’m a big fan of soccer. I played the game from a very young age through college. During my teenage years I played indoor soccer on a smaller field that had walls like a hockey rink. I always loved the speed and complexity it added to the game. 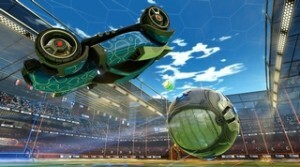 So it should be no surprise that Rocket League clicked with me almost instantly. I knew HOW the game should be played from a strategy standpoint, but it’s really hard to stick to strategy when you get to drive around a rocket powered car. When a goal can happen seconds from kick off, 5 minutes is the perfect amount of time to create exciting matches, and yet short enough that you can always jump into one game if time is limited. With mutators added in to create variety, it’s a game I’m always willing to go back to. I like Tales games. Tales of Zestiria came out in 2015. I like Tales of Zestiria. Shocking. It checks off all of the boxes you might expect from a Tales game. The main protagonist is special and powerful, but needs to learn to control their power. You have a best friend character that follows you from the start. There are nations at war, and your party somewhere in the middle. There is a big bad evil and you need to stop it! Silly skits. Cooking! I have always enjoyed the free flow combat style of Tales games, and as the hardware gets better the combat gets better. Characters have the ability to interweave basic attack combos with harder hitting skills and magic. Battles include 4 party members at a time which can lead to some pretty lengthy combo attacks. The spin on this Tales game is the ability for certain characters to perform a fusion and become one super powered being . As I said earlier, the story is somewhat generic, but still fun. Like most Tales games it has silly skits between the characters which take place when special spots are found in the world map. 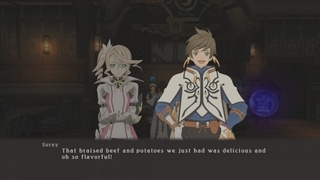 Tales of Zestiria isn’t a game I expect to see on many 2015 lists, but I enjoyed my time with it. In a year full of great games, I found myself booting Tales of Zestiria instead of a lot of others. We move right into another franchise that I generally enjoy. Last year was the first major entry that I didn’t play through to completion, so I didn’t have high hopes for this year’s game. Luckily things got back on track in a big way. The grimy smoggy setting of Industrial Revolution London is perfect for an Assassin’s Creed game. For several years now Assassin’s Creed has been trying to find it’s next Ezio Auditore. They came close with the assassin/pirate Edward Kenway. Syndicate takes a bit of both and came up with the Frye twins. The first being the stealthy Evie Frye who wants to help the Assassin Order by following in her father’s footsteps and find the pieces of Eden. Meanwhile, her brash brother Jacob Frye just wants to start a gang and kill some Templars. Open world games forcing players into a vehicle is a trend I’d love to see lighten up and I could have done without most of the clunky carriage driving. The Assassin’s Creed series loves having you run errands for historical figures, and this year’s entry is no exception. Charles Darwin, Charles Dickens, Karl Marx, and Alexander Graham Bell are just a few who make appearances and are completely incapable of doing anything themselves. 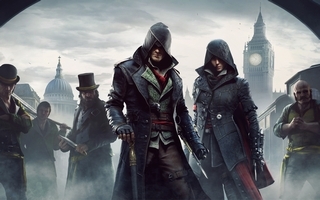 Assassin’s Creed Syndicate brought the fun back to Assassin’s Creed for me. It provides a huge map to get lost in while traversing to the next mission. With news coming in that there will be no major Assassin’s Creed game in 2016, I’m excited to see what the extra year of development time will bring to the next installment. Of all of the games on this list, this was the hardest one for me to place. It ended up this high in my list because I started Rise of the Tomb Raider in mid-December, and even with the backlog I had built for myself, I kept going back to it until I completed it. 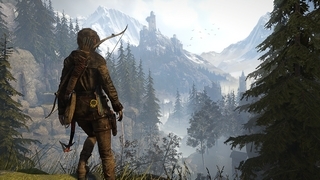 It’s hard to put my finger on just why I liked so much about Rise of the Tomb Raider. The game opens with a movie-like ice climbing scene. A scene that shows off how beautiful of game it is. It shows off what this generation of consoles are capable of. I expect when it finds it’s way to PC later this month it will look even better. This mountain climb eventually leads into the exploration of a tomb! Tomb raiding…in Tomb Raider! I skipped the 2013 Tomb Raider reboot but from what I hear, there was a severe lack of raiding tombs. 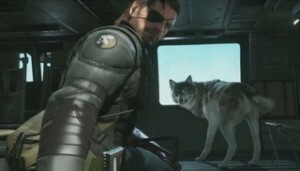 I was pleasantly surprised when the world opened up to reveal sidequests, collection items, upgrades and all. The combat was a good mix of stealth, strategy, and action. All of these aspects came together to produce one of my favorite games start to finish of 2015. Also, I choked out a lot of guys with the bow. I’m a fan of bows in video games. Technically, The Taken King is an expansion for Destiny, but given the amount of content it adds, it’s basically a whole new game. Destiny was my #2 game of 2014, and it’s become a much better game since then. It being my #4 game of 2015 once again speaks to the quality of games this year. Destiny would win the award for game I spent the most hours playing in 2015. Maybe that’s an award to include next year. The Taken King takes all the content from base Destiny, as well as the DLC packages and reworks them into something much closer to a story line. The light system has also been completely re-worked so it is now just the average of all of your pieces of armor and weapons, which makes it easier for players of a range of light levels to play together. I knew that Bungie was back on track with the Taken King in the first mission of the newly added quest line. The world felt alive. To further that feeling, this year players discovered that Destiny had hidden quests within quests! Simply running the wrong direction in a mission could possibly mean finding something new! 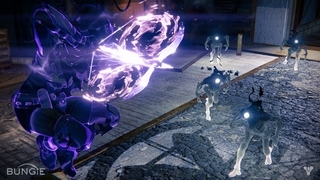 Players became determined to find more of these hidden quest lines since the rewards are generally exotic items. Things like this tie back to the old days of Bungie’s Halo titles with hidden skulls and easter eggs. Year 2 promises more frequent events instead of the world remaining fairly stagnant until the next DLC pack is released. These events now exist to keep their consistent player base satisfied, and prevent the grind feeling of the end game. One of my favorite things about Destiny is that it’s the most casual MMO I’ve ever played. Destiny plays perfectly for a more casual player who can pop in, level up a bit, check on some new content, then check out for a few weeks or months, which ensures every time they play they are seeing something new. For someone like myself who enjoys trying to play as many game as possible, this is the type of MMO style I really appreciate. If Bungie is able to keep making these kinds of improvements, I’ll keep playing it. Every year we have THAT game. One game that people shout about and go nuts over. If you don’t like THAT game, then you just don’t get it. Also, you’re stupid. Or at least that’s what some of the most vocal fans would have you believe. Undertale was THAT game this year. Based on where it falls on my list, one can probably guess that I really enjoyed Undertale, but I also understand why people wouldn’t like it. At it’s core, Undertale is an RPG, so if that type of game doesn’t really appeal to you it’s going to feel like a chore to get though. It’s largest flaw is it’s slow start, but I would advise seeing it through if you don’t hate it. If you don’t like it, forcing yourself through is only going to make you dislike it more and any payoffs won’t overcome that. I was asked, “When does Undertale get good?” It was a question I had a hard time answering, because I managed to do something very early in the game. What I had done revealed to me there was a lot more going on in Undertale than simply being a silly RPG where none of the monsters have to die. It plays with game mechanics in some subtle ways, and also some not so subtle ways that will reveal themselves over time. I like the characters of Undertale a lot. During my play through, there were a lot of groans but in the end there was more laughter. 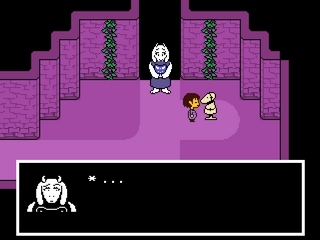 I played Undertale as a pacifist which turns every battle with a monster into a puzzle. Every action provides clues to the next step to sparing a monster, and I was determined to figure out the correct pattern of actions to solve every battle peacefully. That is where it differentiates itself from a normal RPG battle system. Finding that proper path through the battle is the key to victory, as opposed to finding an enemy weakness and hammering on that skill over and over. An interesting twist for anyone who is a fan of puzzle games as well as RPGs. And for those that aren’t puzzle fans, you can always attack and destroy every monster. Or maybe a mix of both. Undertale allows you play how you want. The story told in Undertale is a slow burn that truly reveals itself near the end of the game, not unlike many RPGs. Despite it’s slow pace, I was determined to figure out that what was going on in this world, and for me the pay off was great. Undertale’s soundtrack is my favorite of the year and a lesson on how slight adjustments to a single theme can have a huge impact. The music itself is great, but what makes it one of my favorite soundtracks are the emotions and memories each song evokes for me. I love Undertale. What I really loved, was my experience playing Undertale. You should probably at least give it a shot. I understand if you don’t love it. It’s OK for people to not like games. We can still be friends. My favorite gaming moment came from Super Mario Maker this year. 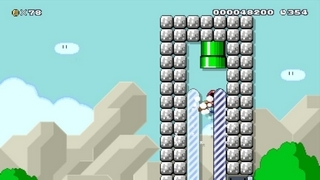 For our Extra Life 24-hour stream we created a few Super Mario Maker levels for each other. Due to poor QAing on my part, Aaron and Cory ripped through my level like it was nothing using a method that I hadn’t considered instead of the proper path. That alone is a pretty fantastic thing. To have a vision for how a Mario level will play out, then have it broken is a tribute to determined players who will find a way beyond the obvious path in front of them. Many hours later, Nanners decided to run through all of our levels and when he got to mine, he played it properly. I had created a puzzle level that required things to be done in a specific order, and he followed my vision. It was a frustrating level, but when I completed my upload run I felt great. Watching Nanners stumble through my level slowly figuring things out also felt great. Seeing him succeed…was awesome. These three components are why I love Super Mario Maker. You can find joy in creating levels. You can find joy in playing levels others created. You can find joy in watching other people play your levels. I personally spent most of my time playing levels. Running through the 100 Mario Challenge created infinite entertainment for me. Thanks to social media, I was able to download and play levels created by some of my favorite people in the games industry without having to become Nintendo friends with them. Even when I wasn’t playing Super Mario Maker, I enjoyed watching others create and play. This years rivalry between Giant Bomb’s Dan Ryckert and Kotaku’s Patrick Klepek provided hours of entertainment, and raised money for two great causes. While it may seem a bit lazy of Nintendo and feel like they dumped the work off to the player, it really was the best thing they could have done. They created a simple level building tool that almost everyone can sit down and use. Super Mario Maker finally gives the Wii U tablet a real purpose. While the bulk of the work does rest with the players, Nintendo continues to maintain Super Mario Maker by adding new items, special event levels, and 8-bit outfit mushrooms. As long as Nintendo continues to run the servers and there are fans making levels…INFINITE MARIO! Begin the attack with stealth. Request help from sniper friend. Fire rubber bullets at everyone’s face. Fulton every animal, vehicle, container, and soldier (of a certain rank of course). There you have it. My top 10 games of 2015! Good job 2015! Seriously though, if 2016 could be anywhere near as awesome as 2015 was when it comes to games, that’d be great.